El' Diablo Gold, Premium Energy and Cognitive Enhancement. But what does that mean for me? 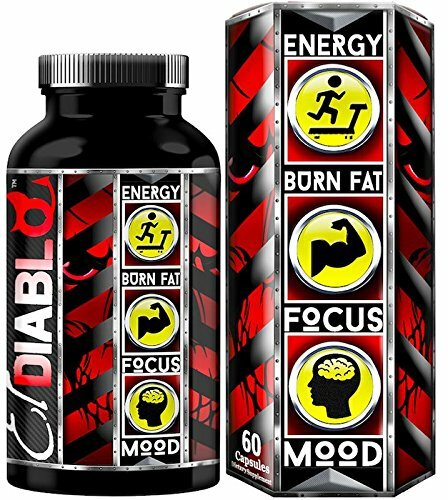 With a dynamic blend of clinically proven cognitive and energy enhancers, El' Diablo Gold takes you up without the jitters, providing a supreme focused state that lasts for hours. * Clinically proven, all-natural mood enhancers bring your mind into a focused, serene, uplifted state. * Fortified with B Vitamins, cognitive supporting amino acids, along with the most powerful antioxidants on the market, El' Diablo Gold gets the job done the right way, the natural way. * El Diablo Gold is one of the only fat burners Manufactured in a Fortune 500 laboratory that holds every major certification from GMP, NSF and TGA and is also distinguished member of the Natural Products Association. One of the only fat burners Manufactured in a Fortune 500 laboratory that holds every major certification from GMP, NSF and TGA while also being a distinguished member of the Natural Products Association. If you have any questions about this product by World Genetics Nutrition, contact us by completing and submitting the form below. If you are looking for a specif part number, please include it with your message.